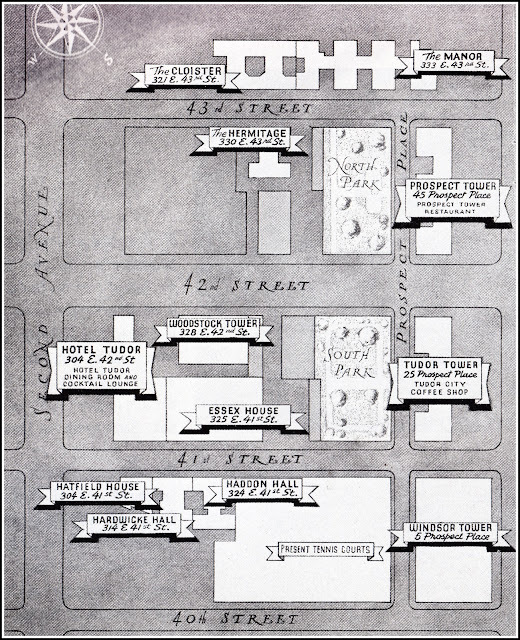 The Hotel Tudor lobby, then and now. 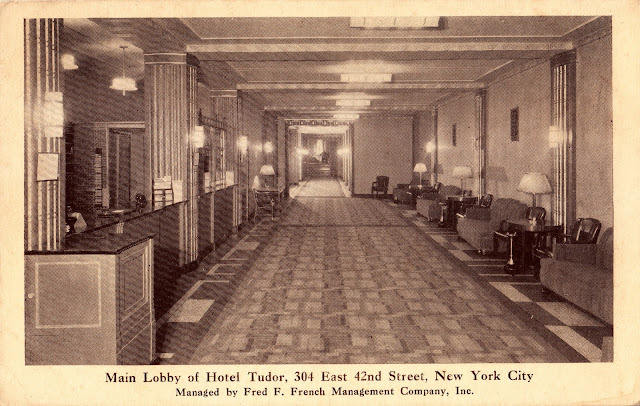 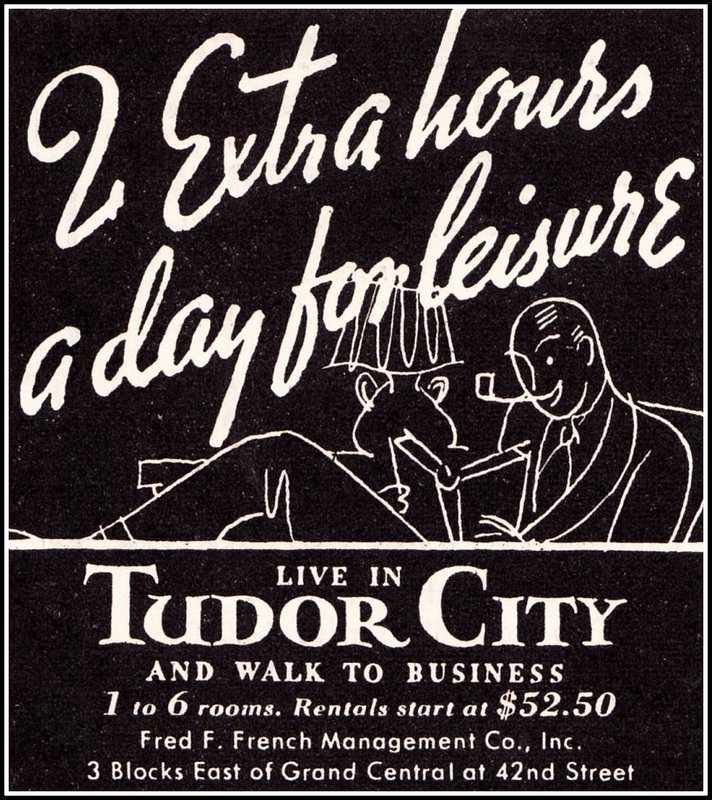 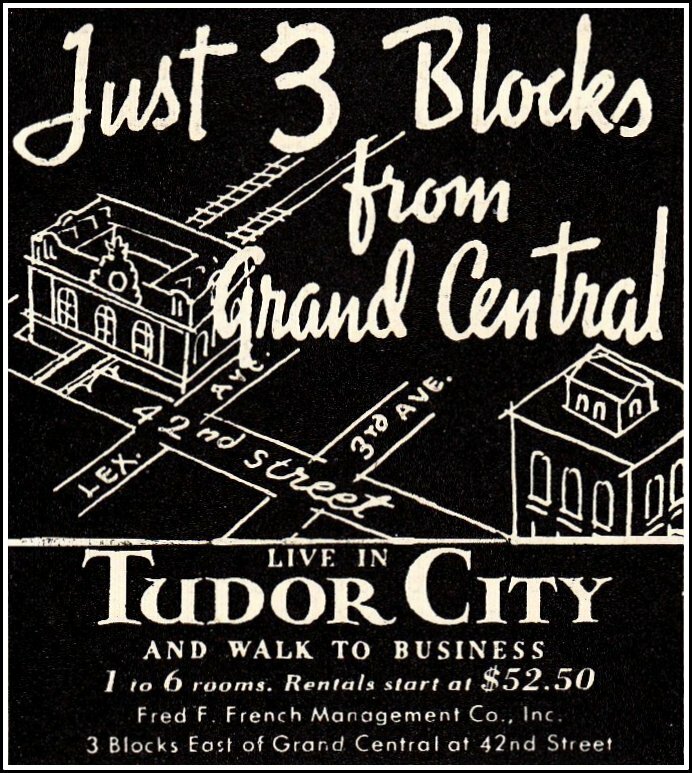 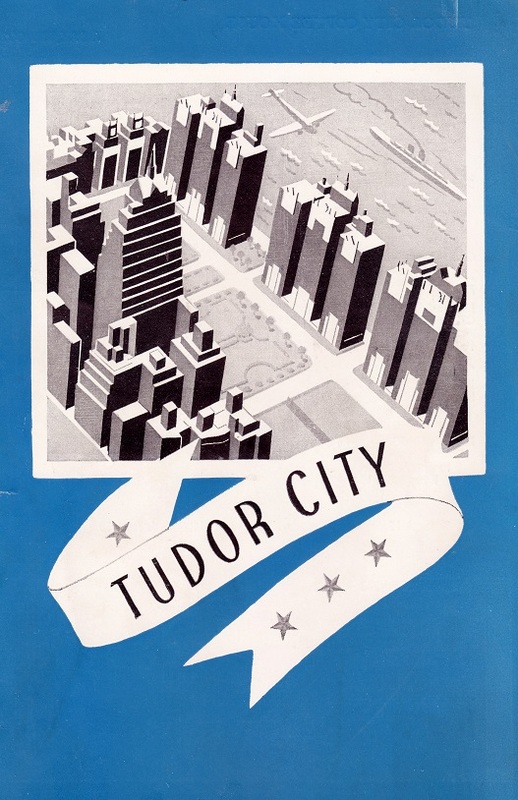 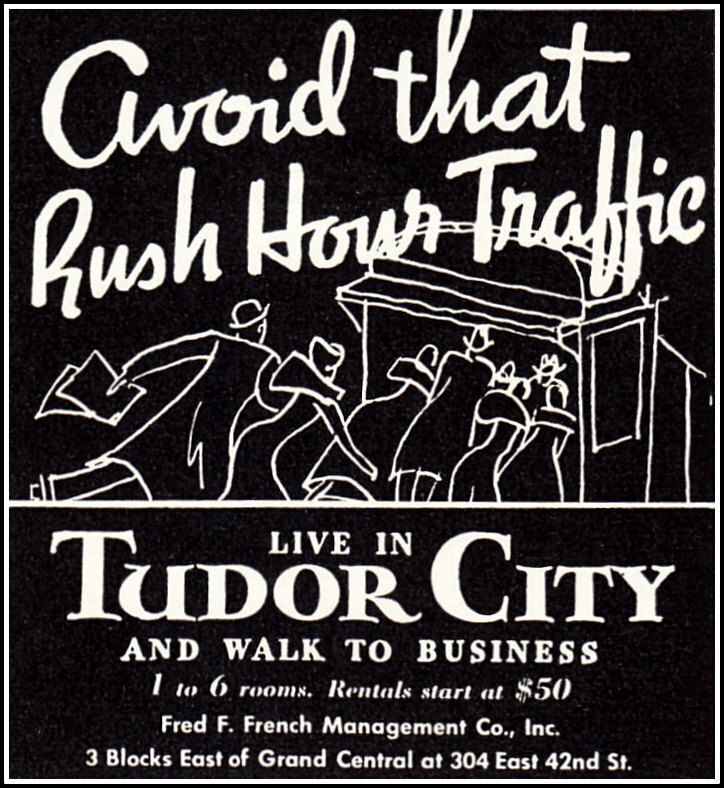 Not a shred of the original lobby decor remains today, no surprise since Hotel Tudor's ground floor has had countless renovations over its five-owner, 89-year history. 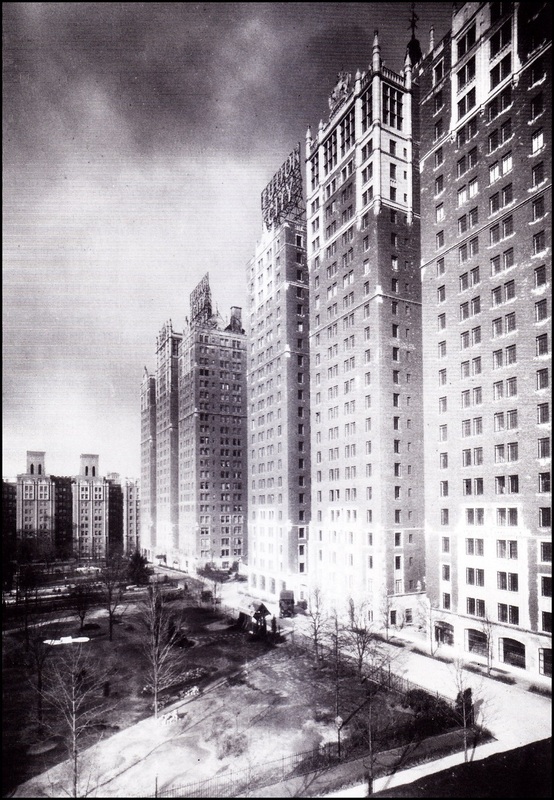 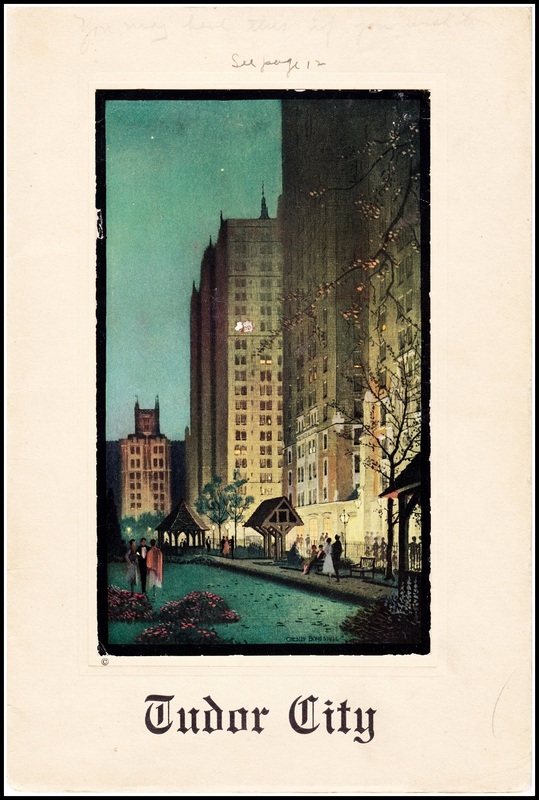 The hotel is now known as the Westgate New York.